Q-Audio QWM 1932 V2 HH + BP Wireless Microphone for sale | Yowcha! 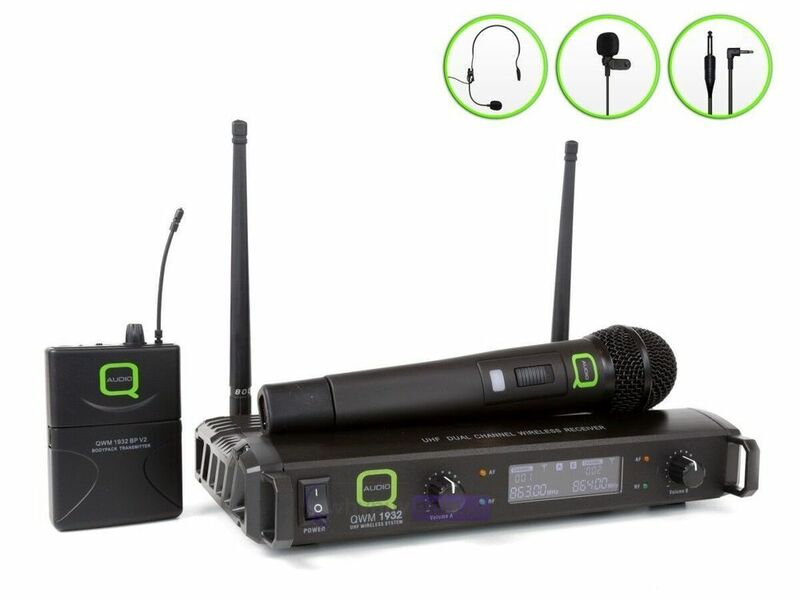 Q-Audio QWM 1932 V2 HH + BP Wireless Microphone for sale | Yowcha! All-in-one package!! This fantastic value Q-Audio QWM 1932 V2 HH + BP Wireless Microphone is the ideal wireless microphone system for DJs, karaoke, dance instructors, presentations and more. The QWM 1932 V2 HH + BP comprises 1 x handheld mic, 1 x beltpack transmitter, 1 x headset mic, 1 x lavalier mic and 1 x dual channel receiver. You can connect the Q-Audio QWM 1932 V2 microphone system into your DJ or PA setup using balanced XLRs or an unbalanced 1/4″ jack output, and each mic has a range of up to 50m.